Fiction University: Yay! 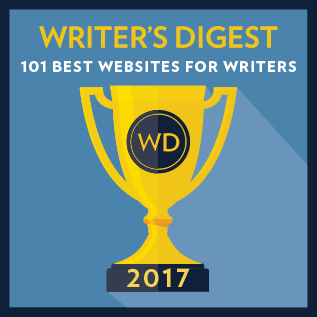 Fiction University Has Been Selected as One of Writer’s Digest’s 101 Best Websites! Yay! Fiction University Has Been Selected as One of Writer’s Digest’s 101 Best Websites! I'm thrilled to announce that Fiction University was chosen for this year's Writer's Digest list of the 101 Best Websites for Writers (lucky #13, too!). It's an honor to be on this list with so many other fantastic writers, bloggers, and sites. A big thanks to all who nominated me, and a digital hug for all the support and encouragement my readers have provided over the years. You guys rock. And a huge congrats to everyone else on the list. Thank you for all the great info and advice you share. Congrats! You definitely earned your place on that list. This is one of the most helpful and up-to-the-minute author sites I've ever run across, and I read it daily. Thank you for all the work you do to create it. Congrats, Janice! You are one of only a handful I've followed all these years - glad you are out there thinking of all of us. That's great. And well deserved. I'm not surprised, Janice. What a wealth of great info you provide! Congratulations!! !